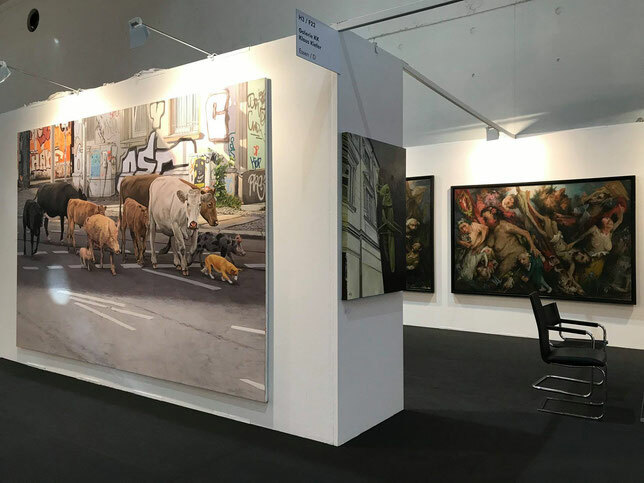 This February Gallery KK again showed some of my paintings at art KARLSRUHE, the renowned international art fair for classical modern and contemporary art. From 12. March to 27. April 2019 an after fair show in the own premises of Galerie KK in Essen now shows a selection of the works presented there by Michaela Classen, Heike Feddern, Pavel Feinstein, Lilli Hill, Andreas Leißner, Bettina Moras, André Schulze, Yongbo Zhao and some of my works. You can also see more of my works in the gallery storage.